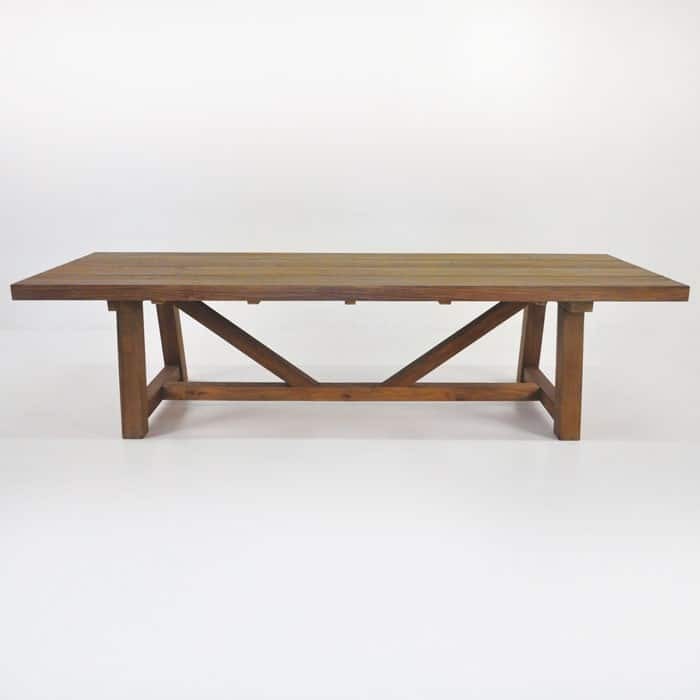 The humble trestle table has been the mainstay of familial dining for centuries. The versatility and the simple beauty of the trestle table makes it such a beloved design; this classic style is not going anywhere. Both humble and classy, the trestle table provides stout support for all of your family dining experiences while still acting as functional art for those who look upon it. A robust and impressive specimen, this trestle table is built on the premise that no two pieces of art should be exactly the same. Design Warehouse chooses the top quality materials we manufacture with, so we can ensure that all of your expectations as the end user of our outdoor furniture are met and exceeded. We want you to have quality, exceptional pricing, and high design so you can enhance your outdoor dining experience. This Rustic Trestle table delivers on all fronts, giving you a spectacular place to display your feast or gather together your friends for memories that often can only be shared around the dining table. 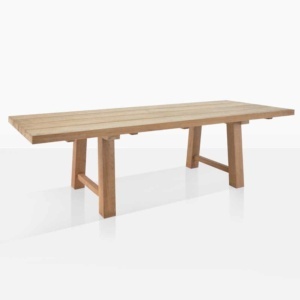 Pair this chunky and stout trestle table with some of our contemporary Alix dining chairs to ensure you’ve got a perfect contrast for any setting. 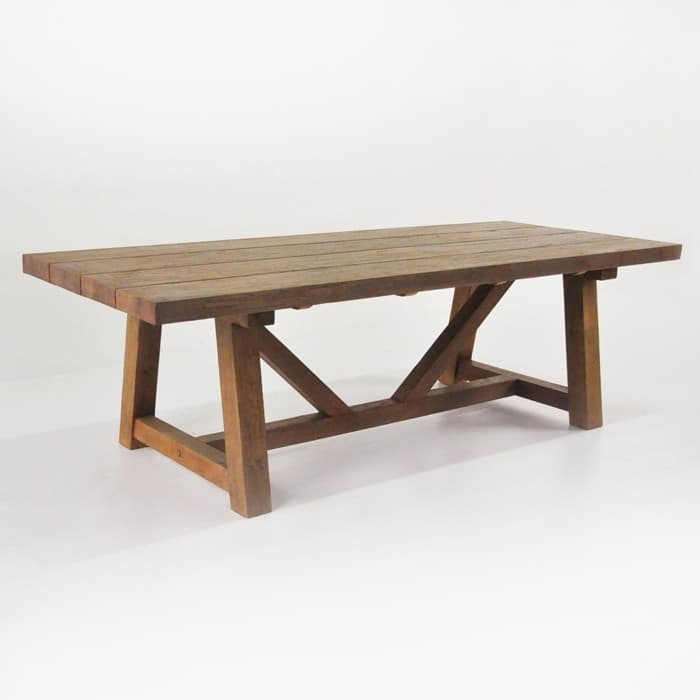 Alternately, go for utility and rustic Country Charm by using two trestle style benches to solidify the Trestle theme. 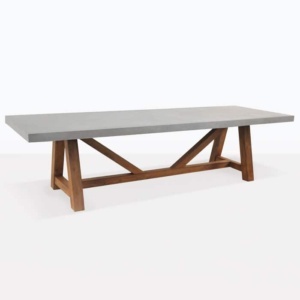 This Outdoor Dining table is available in three sizes for all group sizes, making sure, you’ve got enough space for everyone at the dinner table. 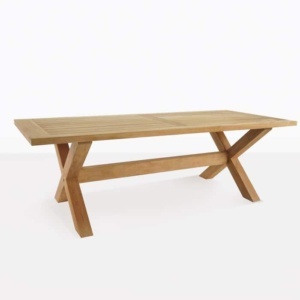 If you’re in the market for a trestle table, this is an excellent choice.